2019 Model...Gray or Black IN STOCK ONLY...... Powered by Mercury 60 CT EFI 4 Stroke. 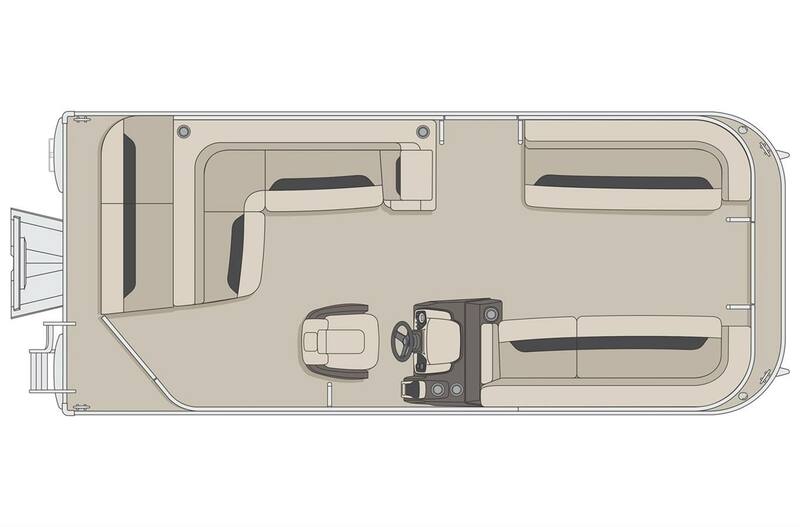 Features include: Built-in fuel System, Premium Classic Edition, Select gray Teak Supreme Vinyl Flooring upgrade, Mood Package, Battery Switch, Chaise Lounge upgrade with "PLUS Upholstery Styling", Tilt Steering and Sliding Captain Chair! ...........FREE Mooring Cover or Discount on Full Camp Enclosure...Limited Time Offer Dealer Prep and Pdi Inspection additional. If you are looking for a top quality, affordable pontoon boat, with a lot of space to accommodate up to 10 people and that will let you practice all your favorite water sports, look no further than this Vectra 21. 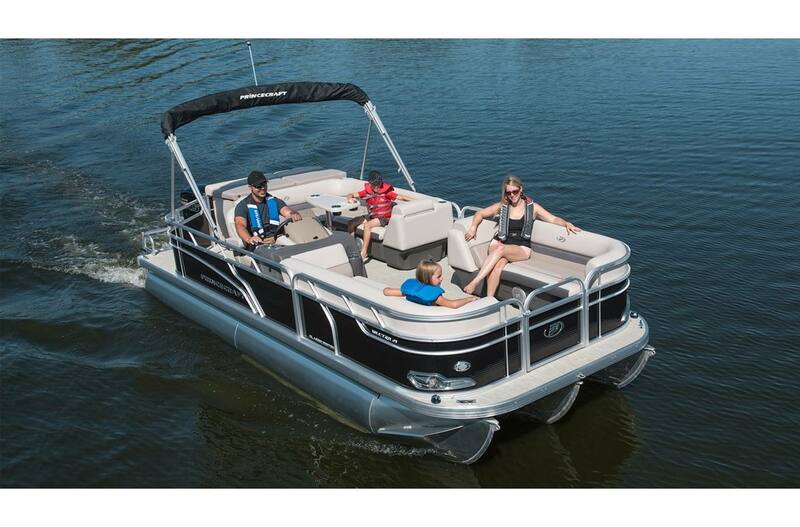 With chaise lounges, a sundeck, a radio, a 12 volt outlet, a swim platform, and much more, you will appreciate the simplicity and practicality of this. 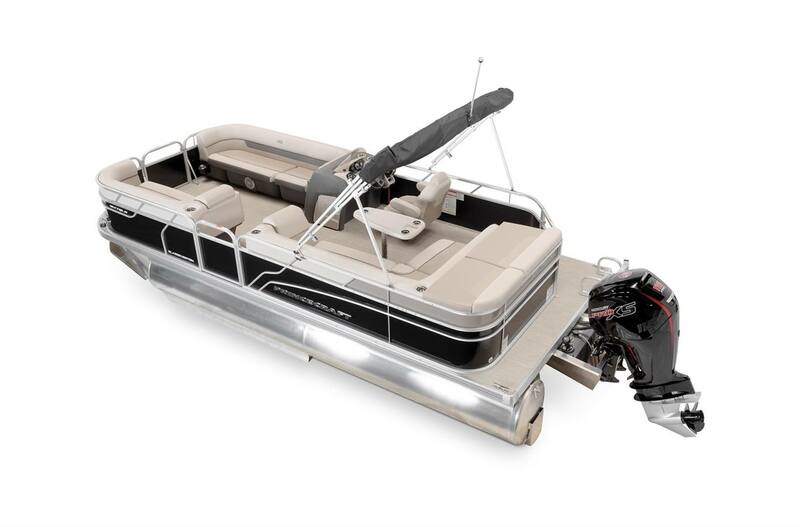 This 21'-6" pontoon boat can accommodate an engine ranging from 40 to 115 HP, even 150 HP with the optional Sport Configuration.